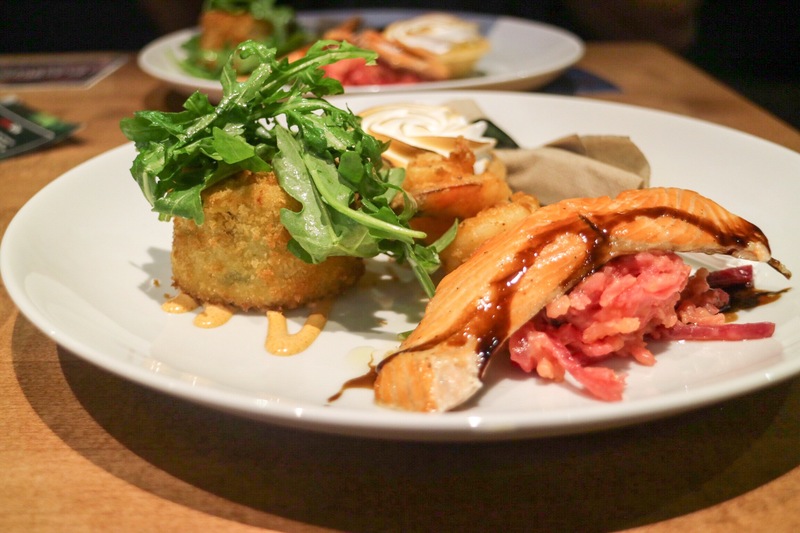 This was Vancouver Foodster‘s first Tasting Plates event in South Granville, one of Vancouver’s most charming districts on the west side. The neighbourhood is known for offering locals an visitors a great number of retail spaces for fine art, home decor, and fashion, as well as numerous gourmet restaurants and outlets of fine food and beverage. 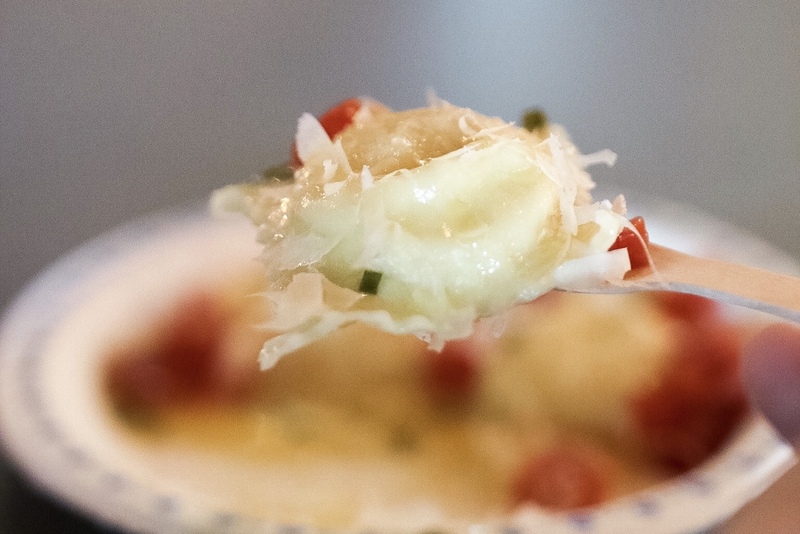 And this foodie adventure truly showcased some of the best of the area. We were checking in at JAK’s Beer Wine Spirits. Since this was a sold-out event with 150+ guests, we definitely need to come up with a good plan to visit all the foodie spots without having to wait too long. And we did a great job. 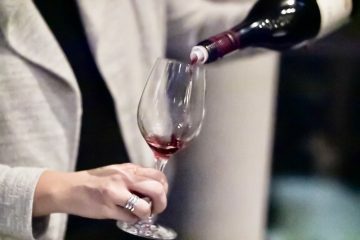 We decided to come back later for the wine tasting at JAK’s and headed straight to Fiore, an intimate Italian restaurant focusing on simple dishes but with a creative touch. 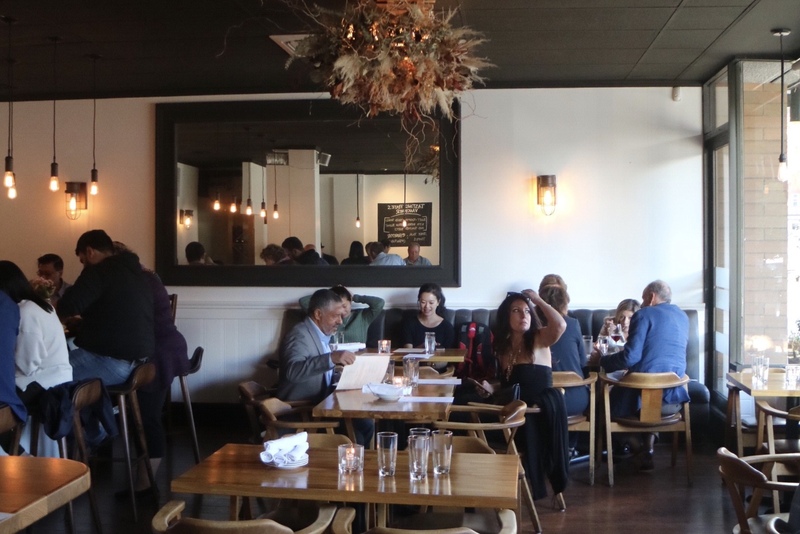 Helmed by Chef Alexandrea Fladhamer, who has previously worked at formerly Ask for Luigi, Burdock and Co., they offer hand-crafted pasta and sourdough pizzas using regional and seasonal ingredients. Here we were served a tasting plate of their creative special, the Beet & Ricotta Ravioli, topped with a herb beurre blanc sauce and finely chopped roasted beets. While the little pasta pillows were soft and delicate, the sauce was incredibly flavourful. 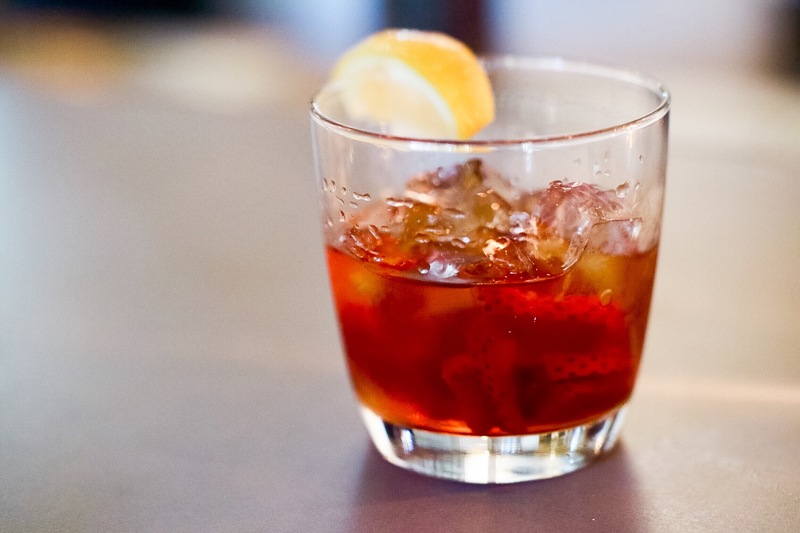 Besides a well-curated list featuring mostly Italian wines, they provide a list of Italian inspired cocktails, including a Negroni Lounge section, putting different spins on this iconic Italian cocktail. I tried the Ne-straw-groni ($12) featuring gin, sweet vermouth, St. Germain, Amaro Montenegro, and preserved strawberries. If you are a fan of both negroni and sangria, you would love this drink. Next stop we found ourselves at The Rise Eatery, a fairly new addition to the list of fine dining restaurants in the neighbourhood. Founded by husband-and-wife team chef Dan Leung and Wanda Lai, the menu is listing flavours from regions in Asia, Europe, the Americas and the kitchen team is determined to bring different world cuisines together ingeniously. They served us a trio of their signature creative dishes: the Lo Hay Salad, mixed with smoked salmon, fresh vegetables, pickled ginger, taro, crispy vermicelli, sesame, and peanuts, and finished with an apricot & beet vinaigrette, the Chicken Seoul Good, their version of Korean style fried chicken, enhanced by wild mushroom cream, truffle oil, and grated parmesan, and the Dynamic Duo of rice battered brussel sprout and cauliflower bites, dressed with gochujang buffalo sauce and blue cheese crumble. As a texture guy, I really enjoy the crunchy texture from all the creations. My favourite had to be the fried chicken, which was perfectly executed. 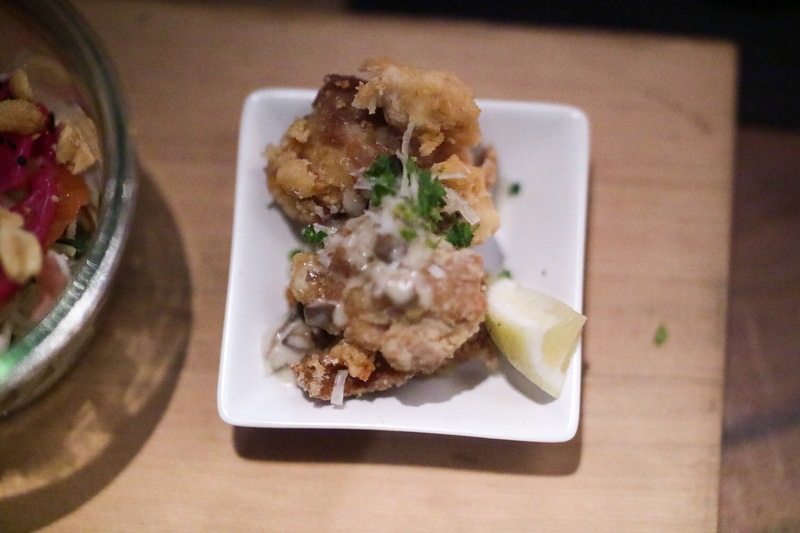 The flavours of wile mushroom cream, truffle and parmesan definitely added so much more. 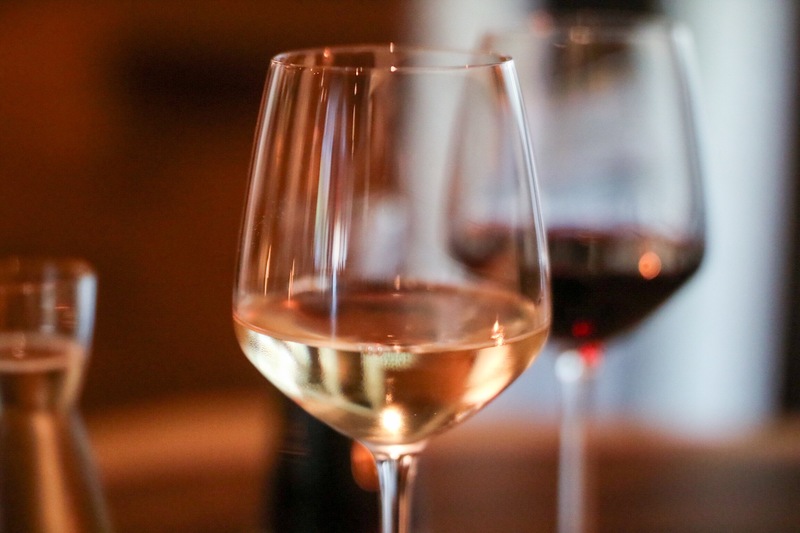 We took the advantage of the restaurant offering the amazing local wines for a good price, such as Dirty Laundry Hush Rose 2017 (6oz $7, 9oz $10), Joie Farm Noble Blend 2016 (6oz $8, 9oz $11), and Dirty Laundry Cab Sauvignon 2015 (6oz $9, 9oz $12). At The Rise, you can also find a list of seasonal and classic cocktails. 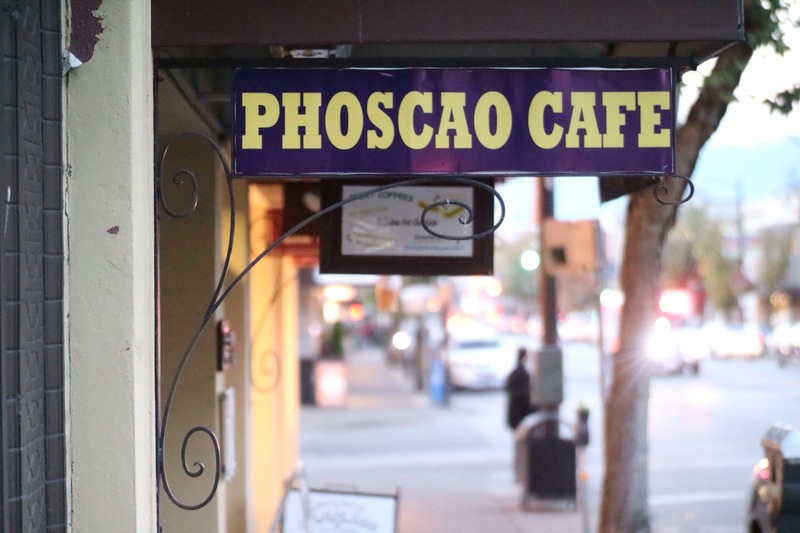 Phoscao Cafe was our next stop. 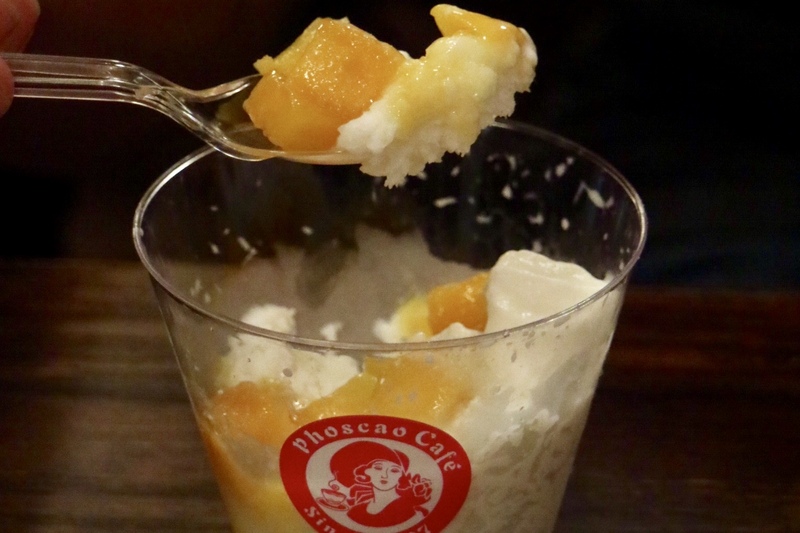 While providing freshly brewed coffee and a great variety of sandwiches made in-house, the cafe has brought something unique to the neighbourhood, Bingsoo, a Korean inspired shaved ice dessert. 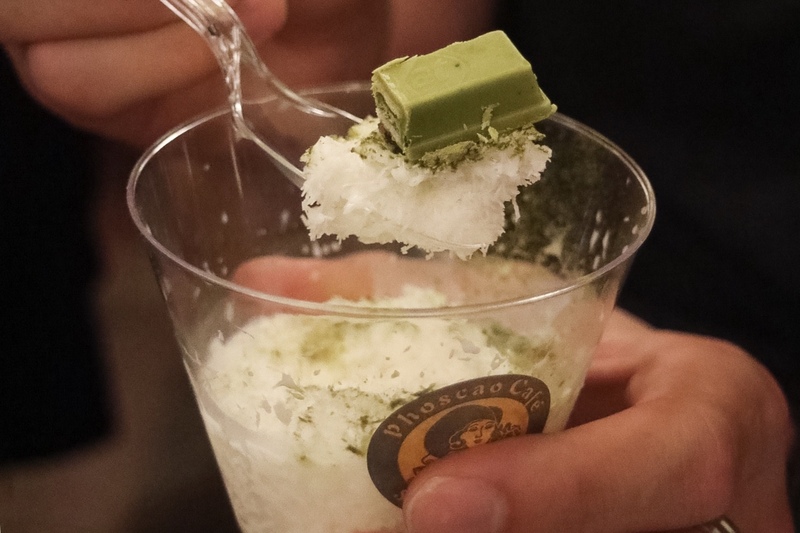 They highlighted the dessert for the tasting event by offering the Mango Bingsoo and the Matcha Bingsoo. The mango one features chunks of fresh mango on top of snow-like shaved ice, and the level sweetness is right on the spot. The matcha one would satisfy the matcha lovers with the aroma and distinct flavour of the refined green tea powder. 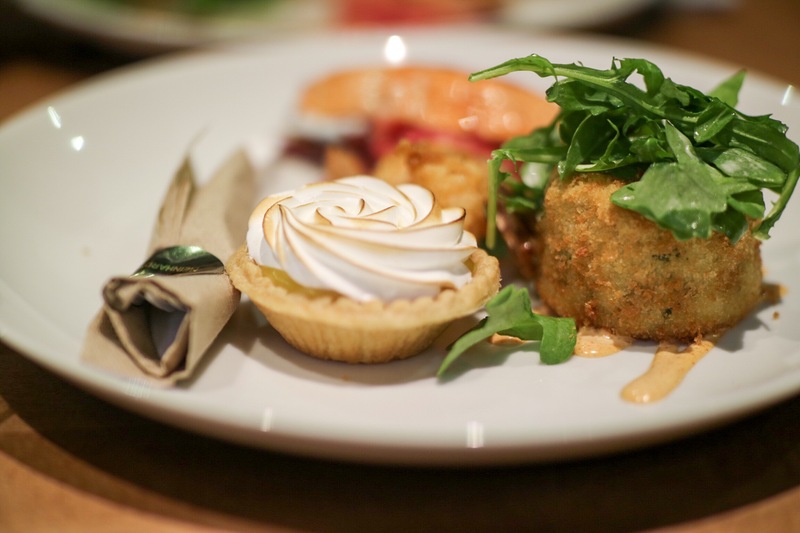 A seafood fest awaited us at Meinhardt Fine Foods, featuring fresh Steelhead Trout, Spicy Tiger Prawns and Panko Crusted Cod Cake, with Beet Risotto, Wild Baby Arugula, and Spicy Aioli on the side, and finished with a freshly baked Meringue Tart. 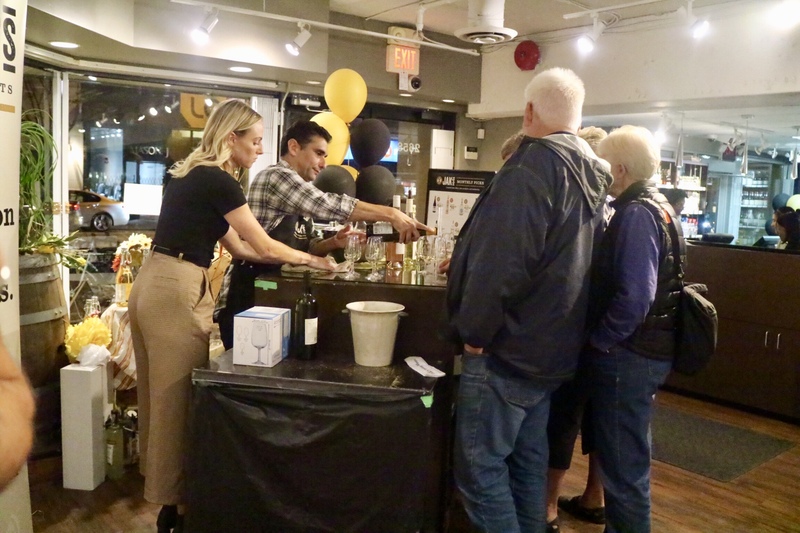 Established by Linda Meinhardt in South Granville in 1996 as Western Canada’s frist gourmet grocery store, Meinhardt is a local landmark known for providing some of the best olive oils in the city, as well its specialized imported products and ready-to-eat gourmet meals. 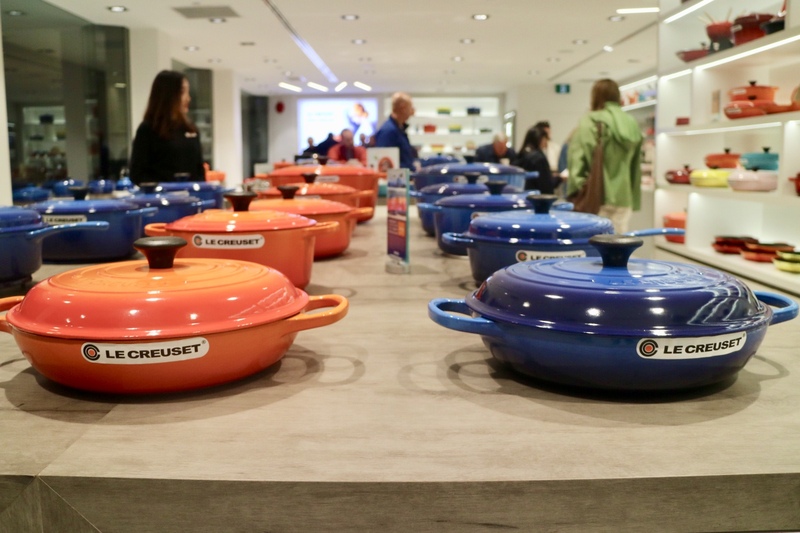 Their 2nd location was opened in 2015 in the heart of downtown at Pacific Centre, and they recently welcomed their newest location in Ambleside, West Vancouver. 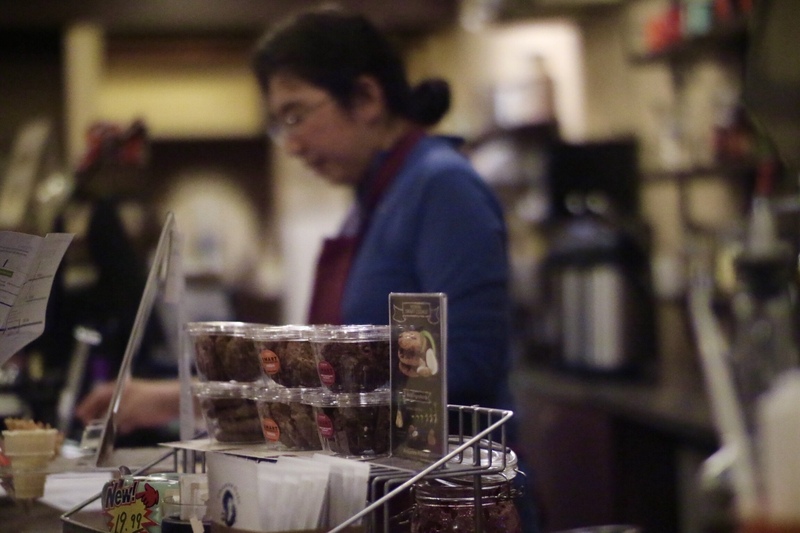 We really enjoy the fine dining approach to their gourmet creations freshly prepared at the store – healthy, delicious, and well representing the high-quality products they sell at the store. 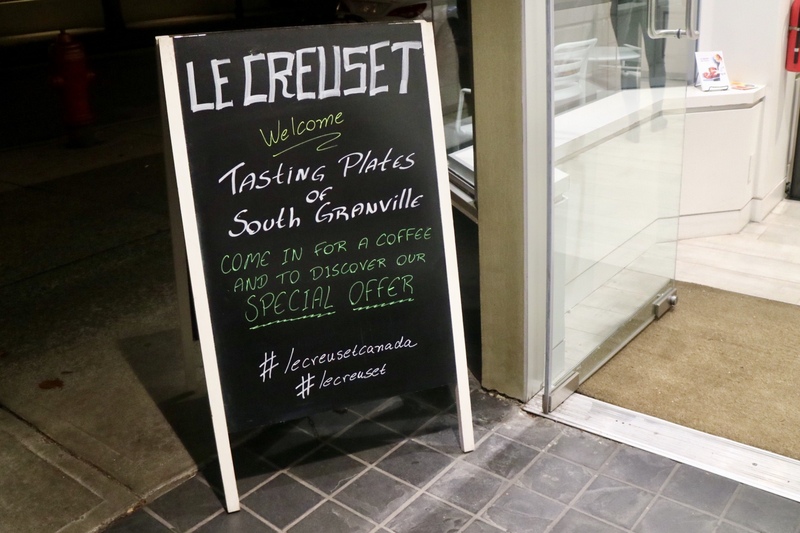 We also stopped at Le Creuset South Granville for a coffee and discovered their special offer exclusively available for the Tasting Plates event participants. 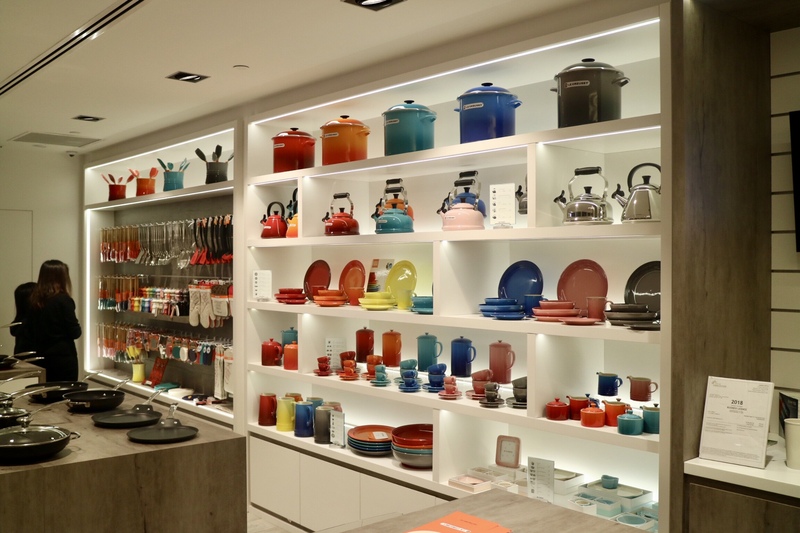 Le Creuset is a prestigious name in the culinary world for high quality. 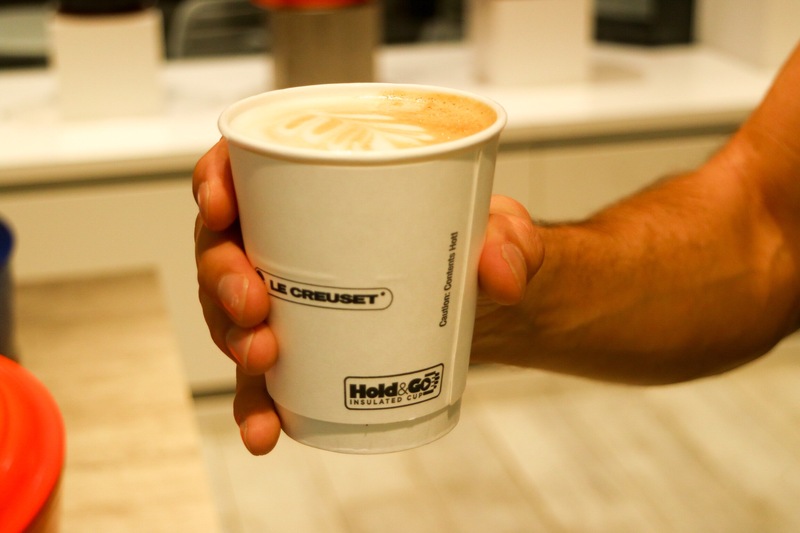 It is no surprise they are enhancing the customer experience by adding a new cafe component to the location serving coffee from Parallel 49 and fine pastries from Thierry, both local brands that represent quality. We were also offered discounts on various products, especially on their silicone cookware. The last stop was definitely one of the highlights as I’m such a wine lover. 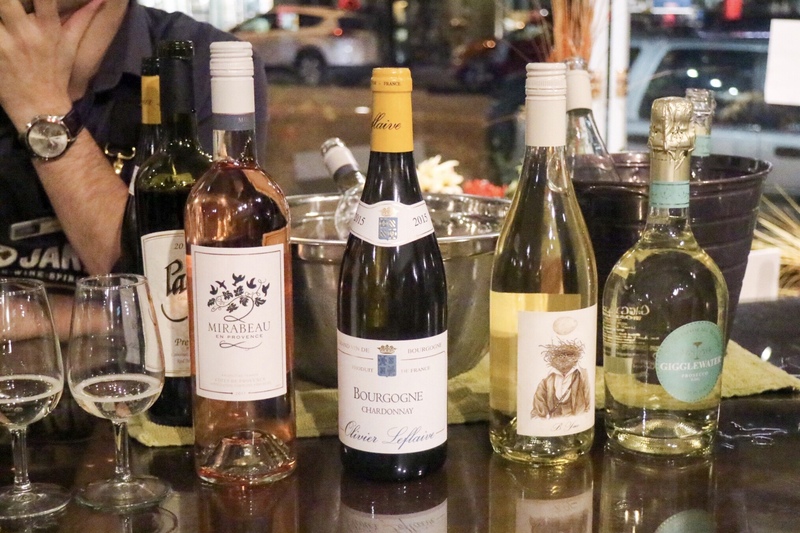 We were invited by the wine expert at JAK’s Beer Wine Spirits for a wine tasting on some of the beautiful wines that are offered exclusively at their stores. 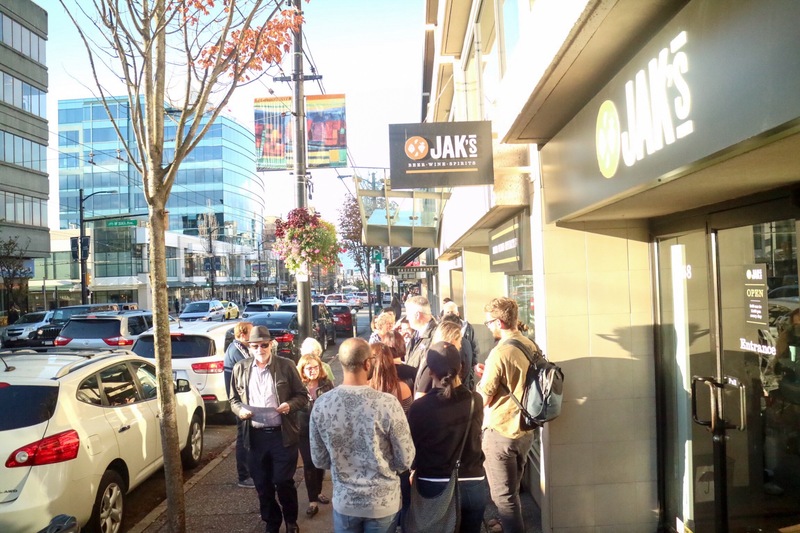 With 14 locations in Vancouver and the Lower Mainland, JAK’s separates themselves as a family own business that provides quality service to the customers. Their knowledgeable team of specialists is always keen on helping customers find the ideal products as well as giving great advice on how to pair their products with food. 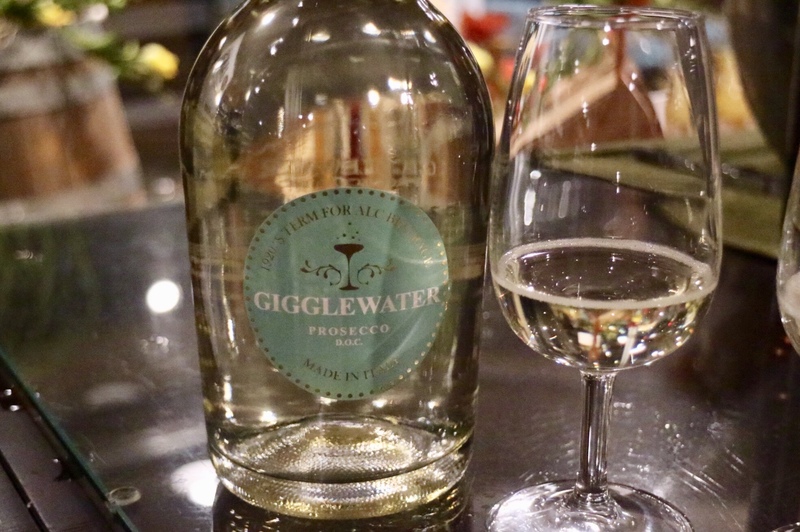 I ended up getting the Gigglewater Prosecco NV, which was offered to the event participants with a discounted price at $17, which was a fantastic deal for this lively sparkling, with notes of honey, apple and citrus. This is one of the best Tasting Plates events that I have participated this year. It’s always exciting to explore a neighbourhood that I don’t visit often. 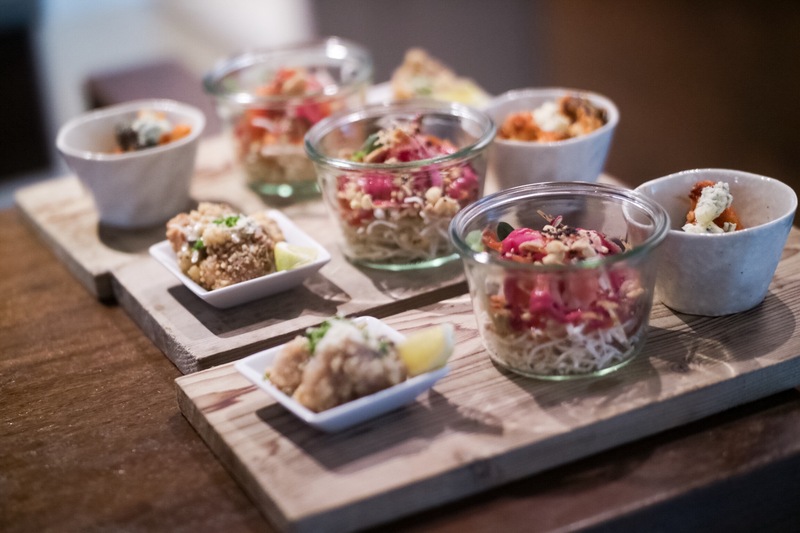 The next event will be another new one from Vancouver Foodster, Tasting Plate Vegetarian on September 26, and the classic Tasting Plates Gastown will be on October 24.